Alex Morgan’s first goal of major importance for the United States women’s national team was born of one of the lowest moments in the history of the women’s team. It was November 20, 2010, in Padua, Italy, and the U.S. was locked in a tense, 0-0 match against Italy. The fourth official showed two minutes of stoppage time, and three minutes had ticked off the clock. The U.S. was about to take a deep throw-in. They needed to make something happen quickly. 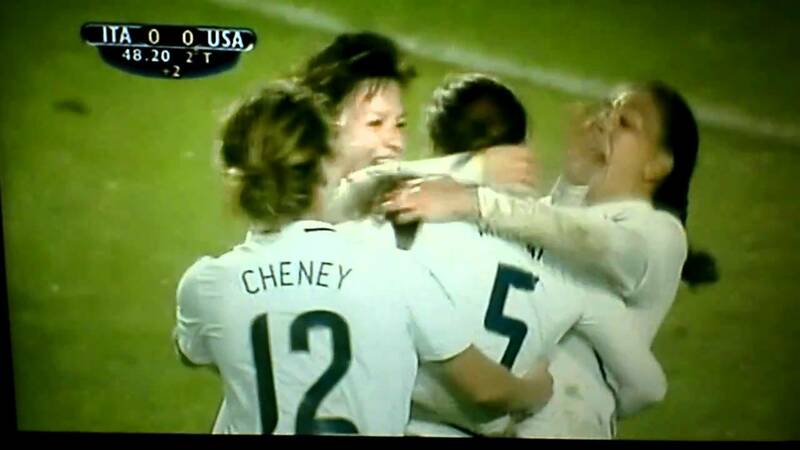 The question of why the U.S. was in Italy, and why it was on the heels of a dark time for the women’s program, dates back 15 days prior, when the team showed up at Estadio de Beisbol Beto Avila in Cancun expecting to qualify for the World Cup and walked out on the wrong side of the most stunning upset in the history of women’s international soccer. The 2-1 loss to Mexico dropped the U.S. into the third-place match at the Concacaf Gold Cup, where the Americans had to beat Costa Rica in order to reach an intercontinental playoff against Italy. The team handled Costa Rica easily on Nov. 8, but the trip to Italy was not at all what anyone saw coming. The United States, ranked No. 1 in the world, was a significant favorite against Italy, but the loss to Mexico proved that women’s international soccer was not above the unthinkable happening on a given day. If it was strange when the U.S. crashed out of the 2016 Olympic Games at the quarterfinal stage, imagine the 2011 World Cup with the United States not there at all. The Abby Wambach equalizer against Brazil — in the 122nd minute of the 2011 quarterfinal — that created so many new fans of the game would never have happened. The painful loss in the final to Japan — the first of three straight global finals contested between the nations — would have been replaced by American apathy as two other countries played for the Cup. 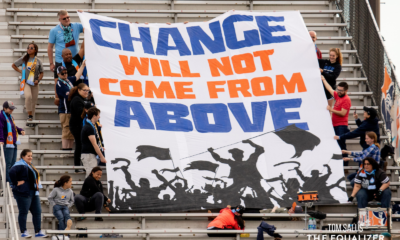 A loss to Italy in 2010 would have changed the entire trajectory of the team — 2011, 2012, the 2015 World Cup triumph. Morgan was 21 then, a well thought-of forward but one that had never started a match at the senior international level. She had three goals under her belt including one that earned a late draw against China and two during blowout wins in the Gold Cup. She was not in the starting XI for the match in Italy. Morgan, wearing No. 5 and not her now customary No. 13, was not sent into the match until the 86th minute. The playoff was a two-leg, total goal format, and a scoreless draw in Italy would have set the U.S. up well to win the home leg outright and clinch the World Cup. But they were the better team in Padua, which made their inability to change the score from 0-0 all the more troubling. They could have played the Italians home-and-away every week for the next year and come out on top more often than not. But they needed to beat them this time or there would be no World Cup. Carli Lloyd received the throw-in and beat one Italian player into space before sending a probing ball ahead. Unofficially, the clock was at 93:09 (remember, two minutes of stoppage time). The time for a goal was now. 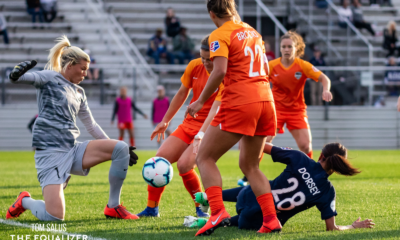 The ball was headed toward Wambach, who had space between two defenders. Morgan and her fresh legs sprinted down the right flank. Wambach played a perfect flick toward Morgan, who drifted over to take it as she positioned her body in front of Laura Neboli. Morgan took a deft touch to control the ball, moved in and beat Anna Maria Picarelli to the far post with her right — yes her right — foot. She jumped straight in the air to celebrate and was quickly joined by teammates. The final whistle blew almost immediately after the restart, giving the U.S. a 1-0 win. Seven days later at Toyota Park near Chicago, a more relaxed U.S. side delivered another 1-0 victory to win the aggregate 2-0 and it was on to Germany. 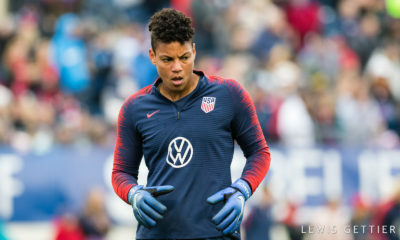 Morgan has scored 94 more goals since for the U.S., meaning she will enter 2019 on 98 for her career. 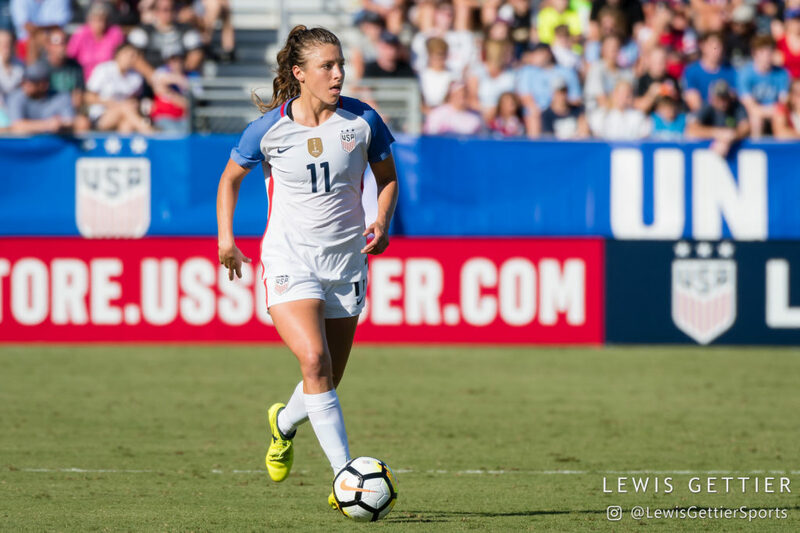 She has scored other big goals, including the game-winner in stoppage time of extra time to beat Canada in the 2012 Olympic semifinals — a match that the U.S. fell behind in three different times. But the legend began to take hold on Nov. 20, 2010, in Padua, Italy.